Phnom Penh, 30 May 2018 – The European Union Ambassador to Cambodia, H.E. George Edgar and the Secretary of State of Cambodia's Ministry of Education, Youth, and Sport, H.E. 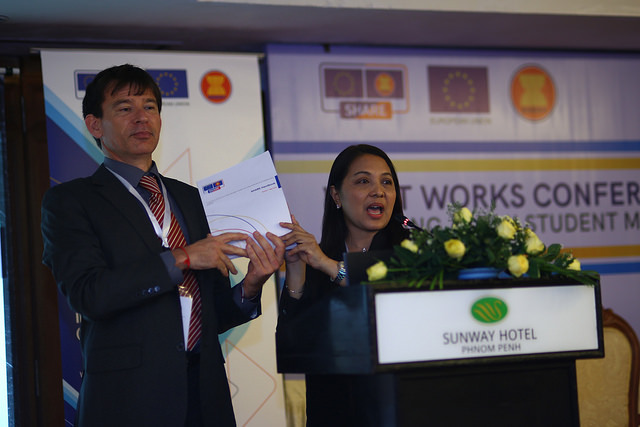 Yuok Ngoy, today open a two-day conference on the European Union support to Higher Education in ASEAN Region under SHARE programme. 120 officials from ASEAN and EU experts in Higher Education and Credit Transfer System, university leaders, and high level education officials are taking part in these two-day SHARE conference, which aims to provide participants with insights into important issues such as the current educational policy, successful innovation and good practices, as implemented within the ASEAN region as well as in Europe. Panellists also share inspirational examples of institutional strategy development and an understanding of the conditions for implementation and practical impact. The SHARE Credit Transfer System has been piloted through the implementation of the SHARE Scholarships. Since 2016, the SHARE programme has awarded a total of 400 scholarships for students from 8 ASEAN countries to undertake a short-term study in 32 ASEAN universities, and 100 scholarships for ASEAN students to study in 8 universities in Europe. 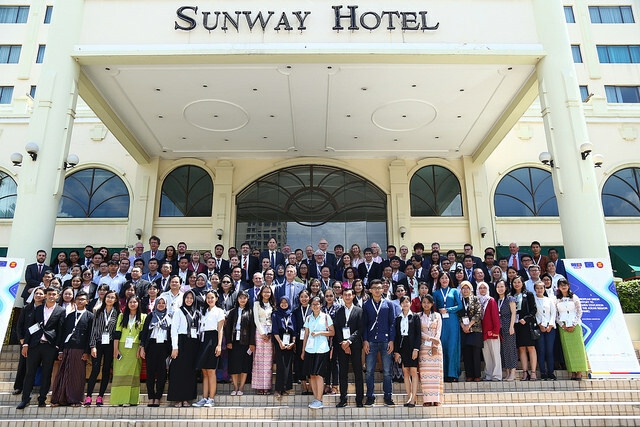 More than 1,400 students, 250 international relation officers, and 42 ASEAN and EU Higher Education Institutions are now using the SHARE online platform and its fully digitalised mobility tools. This platform enables students to apply for SHARE scholarships, prepare their mobility, and facilitate the transfer of credits. Thanks to this online device, communication between both sending and receiving higher education institutions and with students has improved. SHARE provides assistance to all platform users and trains ASEAN Universities International Offices to use it.